Enjoy in-town living at it's finest. 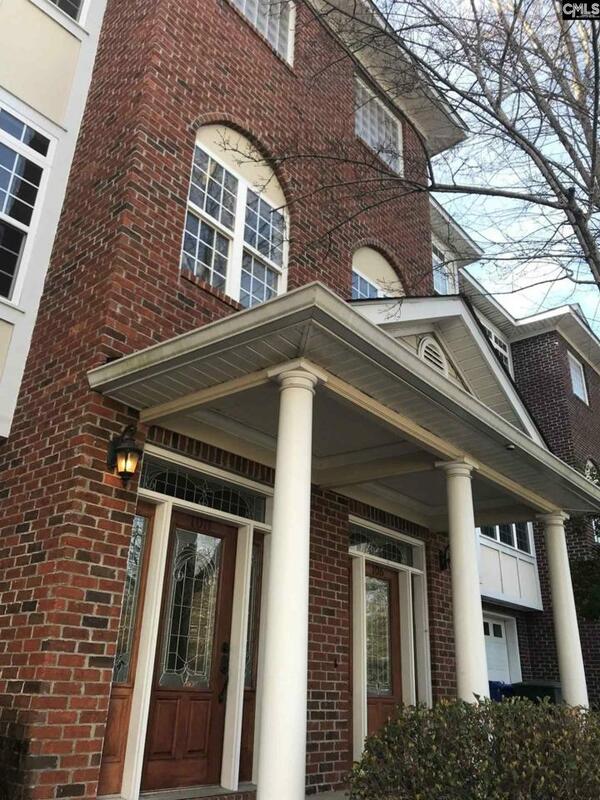 Step into this stunning tri-level condo complete with gleaming hardwood floors, soaring ceilings, gorgeous granite, stained cabinets, crown molding, stainless steel appliances, and iron railings. You won't believe your eyes! The open floor plan is impressive. Entertaining will be a delight in the expansive kitchen, dining and living area. This home boasts a master suite on the third floor with a whirlpool tub and separate shower. Second bedroom and bathroom also on the third floor. Third large bedroom on the main floor. (closet outside of BR) Could be used as an office, media room, play or exercise room. Looking for a garage? You got it....along with another private parking spot in front. Want convenient? Rio Rose is a super short walk (or drive) to grocery stores, shopping, restaurants, The University of South Carolina and Richland One schools.